This tea was inspired by Robi Bodden, owner of Silhouette, a lingerie and sleepwear store located in Camana Bay. 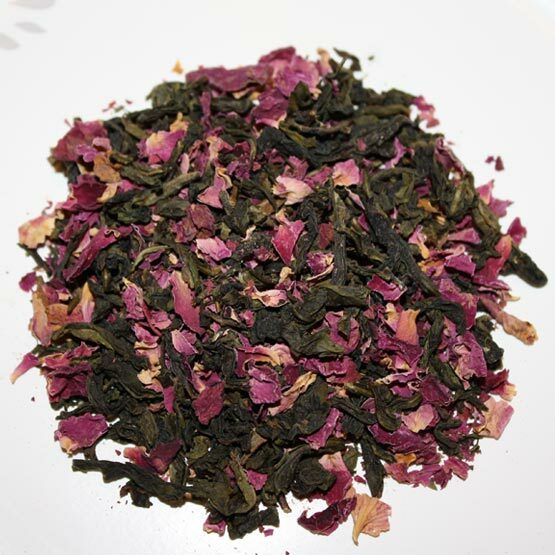 This rose oolong is a smooth, soothing tea that is rich in antioxidants and anti-aging properties, capturing the ambiance of a rose garden after a spring rain. The aroma of rose petals goes perfect with an exquisite oolong tea base, creating a sense of calm and tranquility. Roses are considered the perfect expression of love as they soothe the heart and emotions and balance the mind. 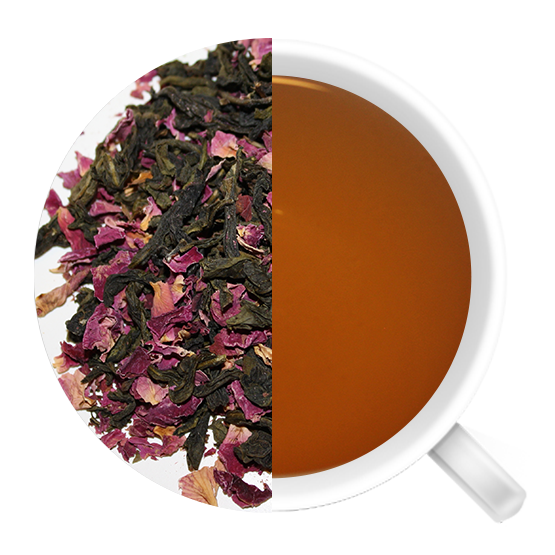 Tea with rose petals has also been known to have an uplifting effect on the nervous system and relieves insomnia, depression and fatigue. It may also help in clearing toxins and heat from the body. If that isn’t enough, oolong is also known for its detoxifying and metabolism boosting properties, which is just what you’ll need before slipping into your newly purchased items from Silhouette!